Need some extra storage space and a way to protect your vehicles from the elements? A quality 1-story garage from HWS Garages is a great choice to meet these needs. We offer standard models as well as custom 1-story garage plans for homeowners in Raleigh, Wake Forest, Cary, and the surrounding NC Triangle areas. Choose from attached and detached garage options as well as single-car, 2-car, 3-car, and other configurations to suit your needs. We also offer a full range of upgrades and enhancements to make your new custom 1-story garage as unique as you. HWS Garages is proud to offer a variety of standard garage packages for homeowners who don’t necessarily require a custom garage. All designs provide ample square footage for storage, parking and more, whether you choose an attached or detached option. 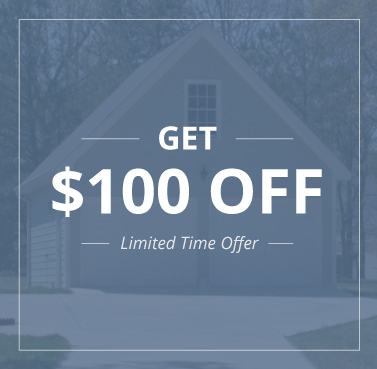 When you choose HWS Garages to be your 1-story garage builder, you can rest assured in knowing you’ve called on the best garage construction company in the Raleigh area. Because attached and detached garages and workshops are all we do, we have specialized knowledge and extensive experience with 1-story garages. We take pride in doing things the right way, never cutting corners, and always acting with honesty and integrity. Our goal is to deliver a quality 1-story garage that exceeds your expectations and ensures your satisfaction. Note: garages pictured on this site may have options or upgrades not included in our standard pricing.